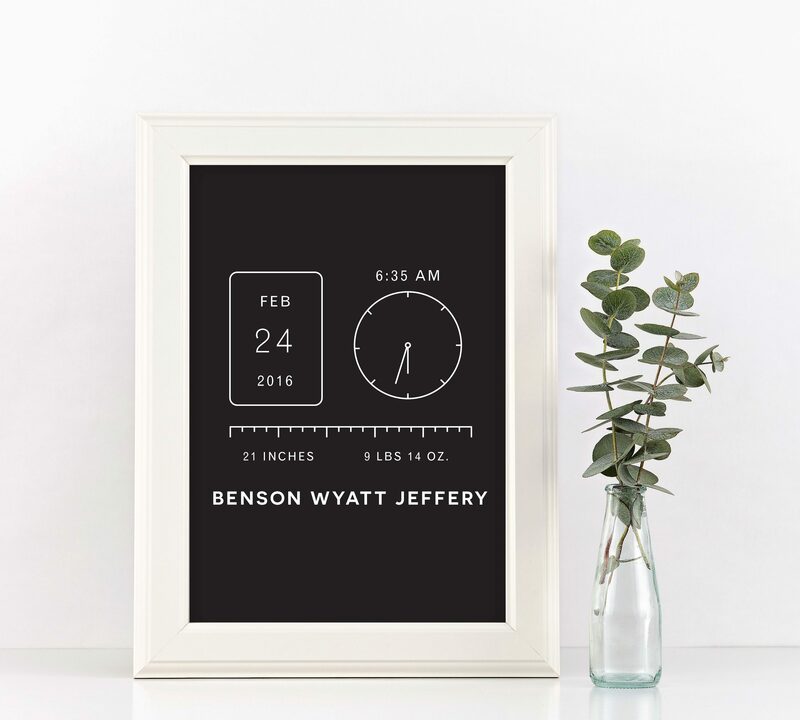 I love cute nursery art prints but I never see more modern pieces for the minimal moms out there. Also, so many of my friends are having babies and I wanted to make a cute personal gift just for them! So I made a baby details print out. I think it’s awesome but I’m definitely biased ;). You can check out color and font options at the shop here and get one for your own babe or buy to gift a friend!